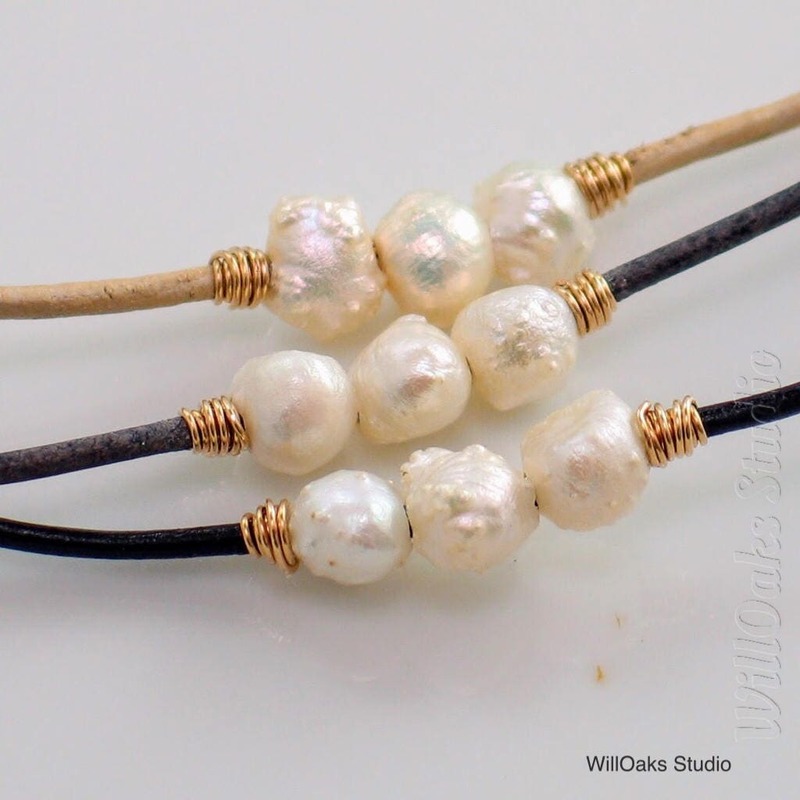 A fresh and unique pearl and leather choker for your summer fun and fashion! Exquisite natural "druzy" (or drusy) freshwater pearls are lustrous, like regular pearls, but offer beautiful organic shapes and textures. Sometimes called "rose bud" pearls, these gems from the sea are about 7 to 8 mm diameter. Part of my new line, "Druzy Pearl Jewels Collection," the trio of pearls on this necklace is bound in place to the leather cord with a rustic metal binding of either gold-filled or sterling wire. 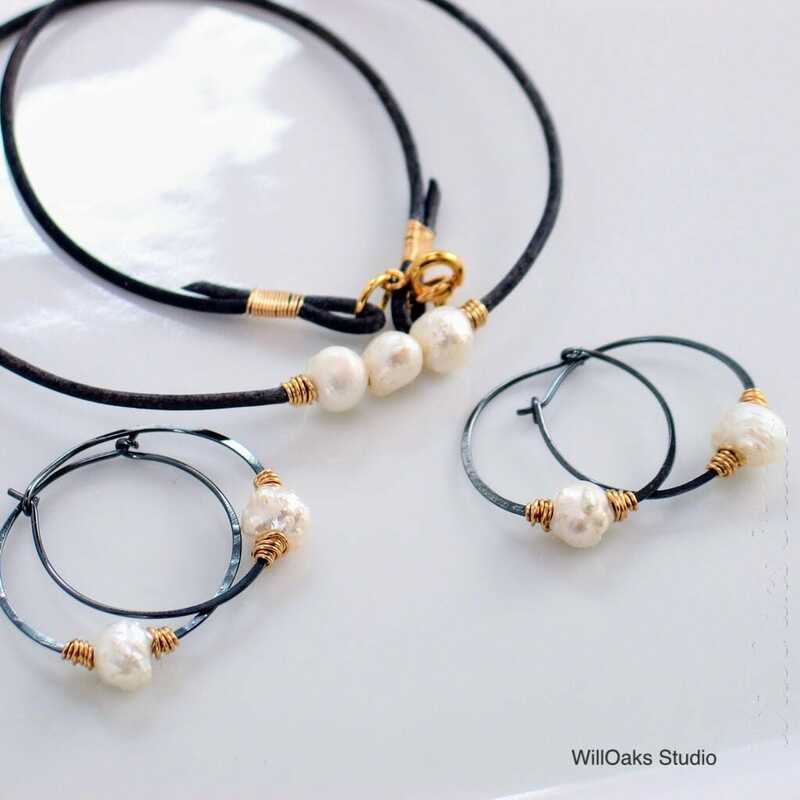 The wire color is echoed in the brass clasp and rings to close, as well as in the flat binding that holds the ring and clasp to the end of the leather. 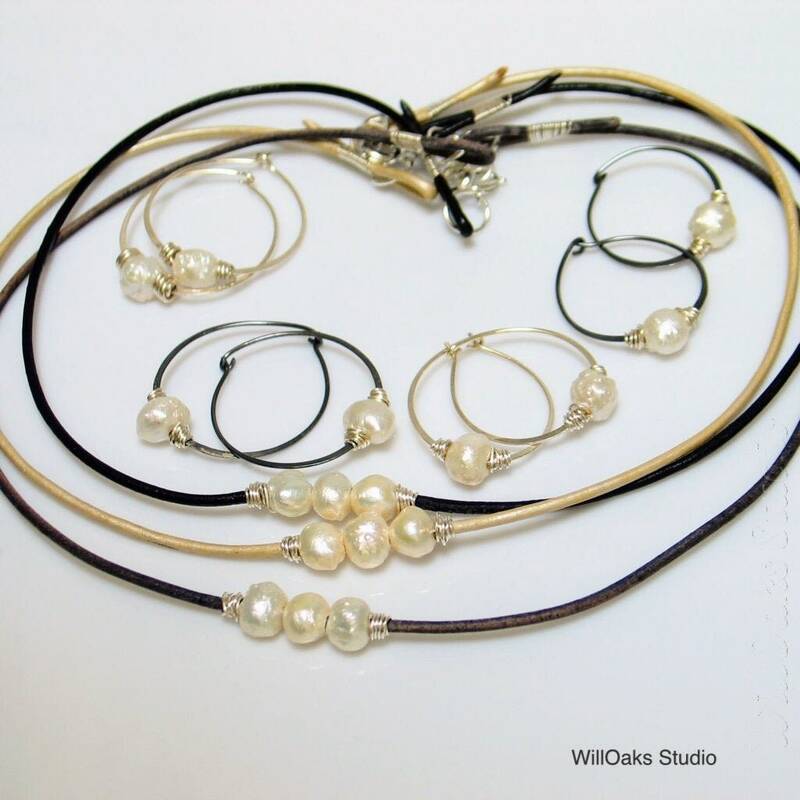 You will choose dark oxidized sterling, bright sterling, or gold-filled wire bindings. My default necklace length is 16.75" to 17", but I can adjust for you this as each is custom made to order. If you'd like a different length, please write the SHORTEST length in "notes to seller" as you check out. Comes to you coiled into a small velvet pouch, mailed in a bubble lined envelope. A great combo of earrings and necklace that can be worn with anything, from casual to dressy, from crew neck to V-neck! Love them! 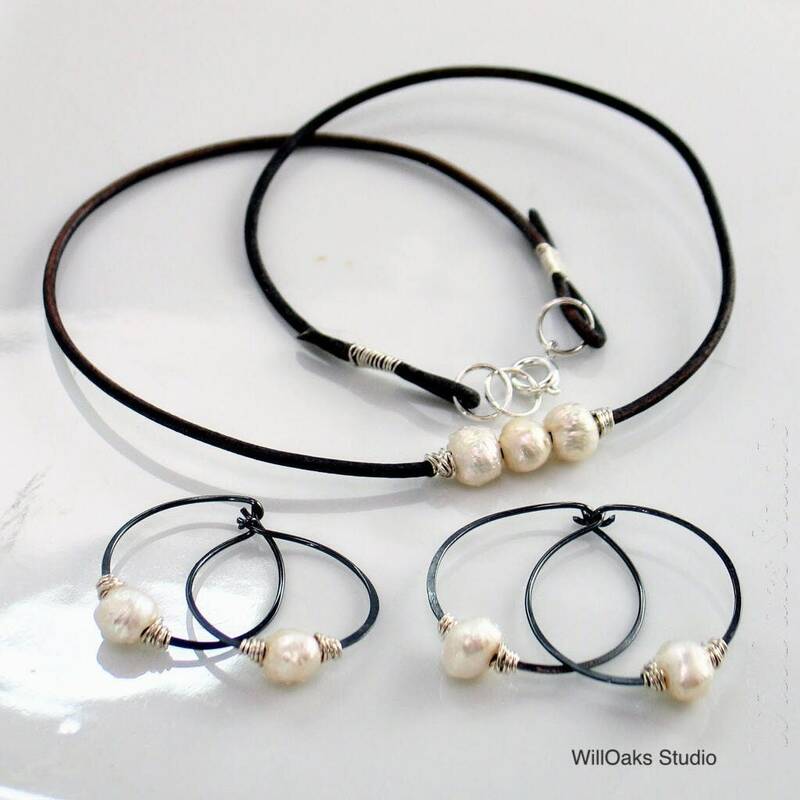 I was impressed with how lovely this simple combo of pearls and leather looks. It's a birthday gift for my teenage niece, and I think she's going to love it!